Don’t be stuck indoors, get out and about into your community. We are looking to add to our growing team of community care workers. No experience required we offer full training and support. So what is community care work all about? In a nutshell, it’s about supporting people to remaining living in their own homes, helping to maintain their independence. You’ll support people with all aspects of their day to day living, including social and physical activities, personal care, mobility and meal times. This role can be very rewarding for the right person and offers benefits that other jobs can’t. So if you like the idea of working out in your community and you want to help others then get in touch to find out more. We offer both full time and part-time work. At Caremark we want to show our appreciation for the hard work and commitment given by our team. In addition to this, our clients are always grateful towards the people who care for them. Clients and care workers gain new levels of trust and friendship over time which is very fulfilling for both. Perhaps you’re looking for something new offering more variety in your working week. Many people who have worked in care homes or the NHS enjoy the flexibility and diversity of working out in the community. Why not give us a call and find out more about care and start your career in care with Caremark. Looking for something different and rewarding? 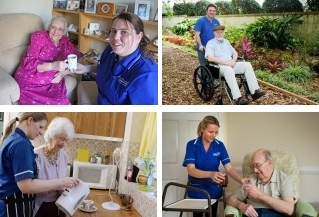 Start your career in care with Caremark. You would be responsible for meeting the support requirements of our clients, in a way that respects the individual and promotes their independence. You would be expected to travel to the client’s home and assist them with daily tasks as agreed between the client and Caremark. The type of support that you would be providing is no different to what would reasonably be given by a member of the person’s family. For instance, you may be providing help with bathing and dressing or domestic support. To apply or for more information please click on the Apply Now button.